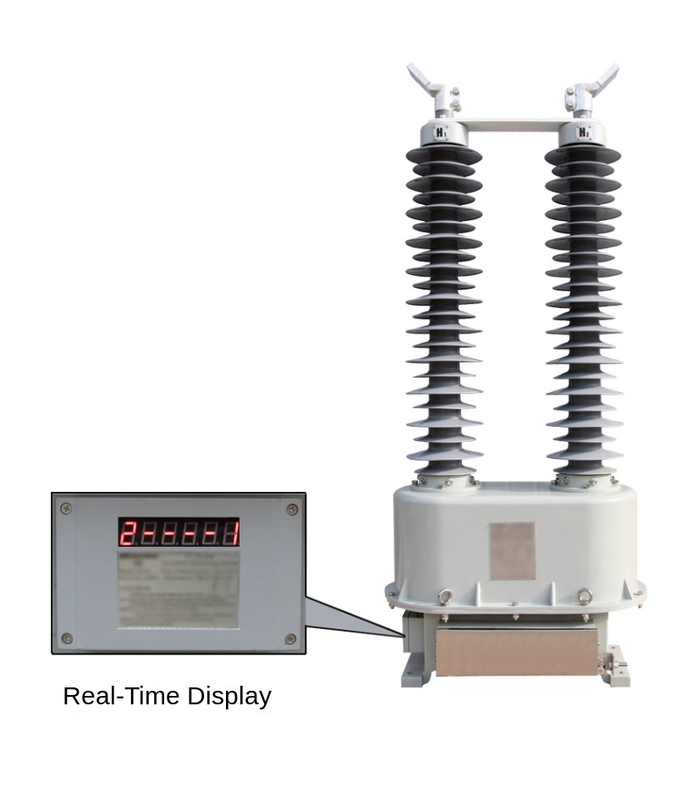 The smart HV DryShield® current transformer comes equipped with a built-in monitoring device that provides real-time monitoring of the CT’s primary insulation condition and the winding current error and phase difference for each of the CT’s secondary coils. This is accomplished by a built-in LV signalling capacitance scheme, benchmark coils and information collector technology as shown in Figure 2 that are guaranteed not to drift over the CT’s service life. A standard coil and an air-core coil are installed in parallel with the secondary winding. Because the air-core coil has no iron core loss, the problem of core saturation does not occur and can be used to verify the standard coil, ensuring the accuracy and reliability of the measurement results. No external power supply is required as the monitor is powered by the LV capacitor Cs and because of the very large capacitance value used for Cs the monitor is effectively isolated from the HV primary so as not to affect the CT’s performance. A smart HV DryShield® current transformer will help to prevent outages due to failing insulation and discover accuracy errors in real-time caused by secondary remanence and inter-turn short circuits. 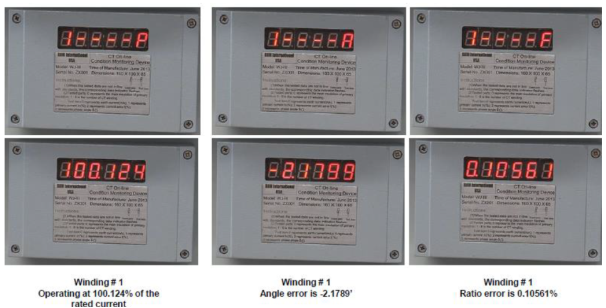 It is well known that revenue-metering current transformers once installed usually do not get checked for accuracy “drift” over their service life. This can result in a significant loss of revenue for the utility. Using a smart HV DryShield® current transformer allows the utility to regularly check the accuracies without having to do expensive off-line testing. Finally, standardized data interfaces according to IEC 61850 communication protocol are provided.